Biting The Hand That Feeds You: MOMables Monday - "The One With the Smoothie!" MOMables Monday - "The One With the Smoothie!" 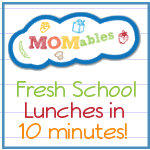 With back-to-school fast approaching, now is the perfect time to look into subscribing to the MOMables lunch menu planning service - recipes for dinner to turn into lunch, quick lunch recipes, and suggestions for leftovers, plus a weekly shopping list! Boom! 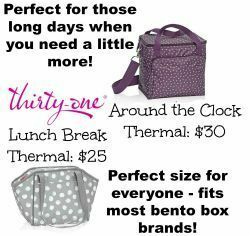 MOMables practically does everything but pack your actual lunch! If you're still on the fence, go ahead and subscribe to the free weekly e-newsletter - you get links to great recipes and blog articles from clearly talented contributors (ahem) plus access to one free week from the MOMables menu! 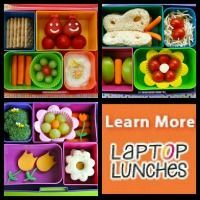 I wanted to do a Lunch(able) with Smoothie post for MOMables both as a way to showcase these new reusable squeezy food pouches, but also because the boxed "ones with the smoothies!" are filled with so much fake junk my oldest one can't eat them, even if I was willing to overlook all the "natural" additives. "prepared cheddar cheese product" - because legally they can't call it cheese. Colored with annatto though, a natural colorant. Though some kids react to annatto with behavioral issues just like the artificial dyes, as well as head-banging and pulling out their hair. Luckily not us! chocolate sandwich cookies (made by you-know-whO-reos. With vanillin, an "artificial flavor" created as a wood-pulp manufacturing byproduct. Yum. But also something my oldest happens to react to. Buh-bye! fruit smoothie - pretty much the only thing I'd feel remotely comfortable letting my kids eat. Even though instead of just pureed fruit, it contains a bunch of extra fruit juice, for added sugar without most of the nutritional benefits of eating whole fruits. But "natural flavors" and colors! But hey. At least there's finally some fruit in one of these! *please don't think that I judge parents who let their kids eat these, though. I used to too, on occasion. Now with one who can't have fake stuff and the other who can't have gluten, these are no longer an option for us. Doesn't make the ingredients any less crummy though, either way. 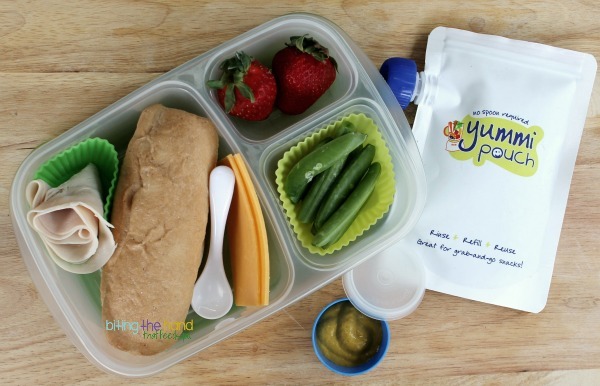 So for my MOMables post, I made up a batch of banana-strawberry smoothies, found some gluten-free sub buns (Schar brand,) and put together all the elements of the lunch, to match the boxed version, with just one minor change. I subbed mustard for the "mayo," since Z prefers mustard, and ours has only vinegar, turmeric, and mustard seed - all good-for-you anytime ingredients! Only I totally forgot the cookies! And didn't realize until I had already sent it off to school with a certain little someone! Doh! So I had to make it again. With Kinnikinnick gluten-free (and junk-free) sandwich cookies. Only this one was "just for show," since I couldn't send the same thing two days in a row, and I didn't particularly want to eat it. Plus I had already packed myself a lunch. So I took my pics then put everything back in the fridge, and then re-used the bun for a different lunch for myself! 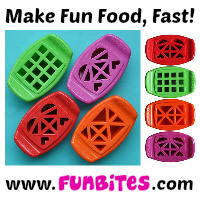 Check out all my other MOMables posts too! I am tempted by Momables. But it seems a LOT of kid food has dairy in it. How much of her recipes are you able to adapt to be dairy free?